The 2018 Halloween on Angove St event was a great event, with thousands of local residents enjoying the festivities. We had a fantastic evening with you, full of Halloween treats and great weather! To help us make future events even better moving forward, we would ask that you please fill out a short survey. Please note that the deadline for feedback is November 26th. 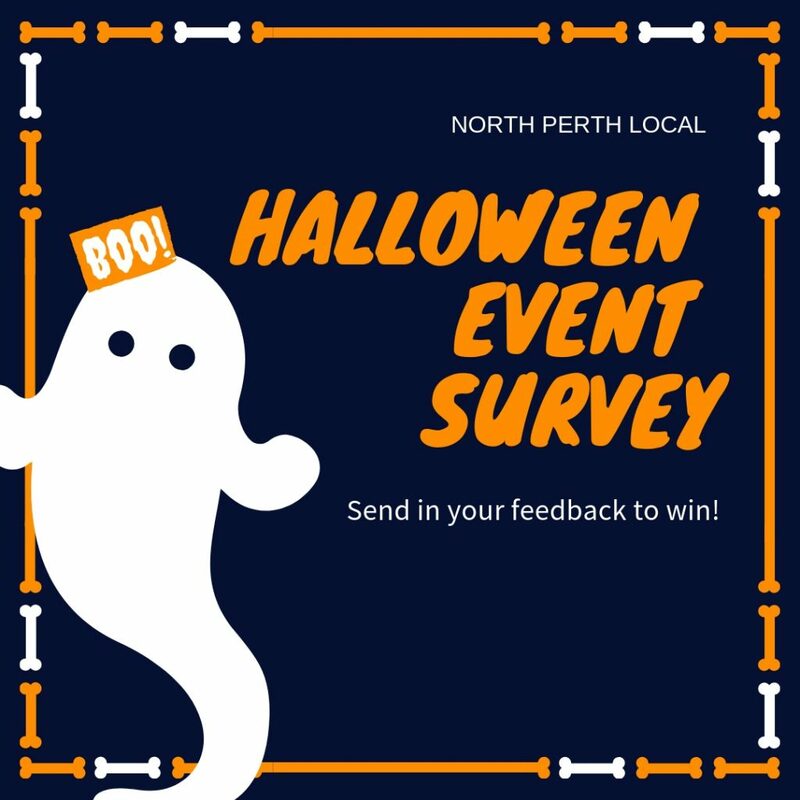 By completing the survey and including your email address, you will go in the running for a double pass to a Cool Perth Nights show of your choosing, happening between December 1st to December 30th (you can check out all of upcoming events here). Thank you for your valuable feedback and making North Perth a wonderful place to live and visit!